This is a card made with die, stamp and papers from Simon Says Stamp Card Kit October 2014. The alphabet stamps comes from Lawn Fawn. 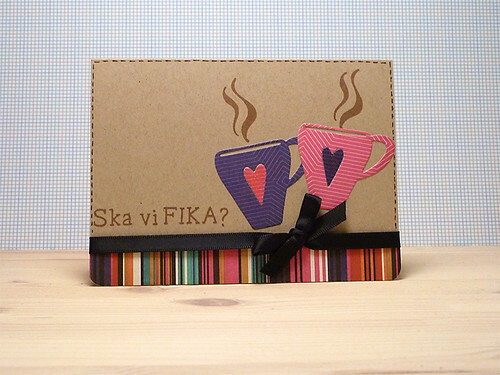 The sentiment says Shall we take a "Swedish fika" (coffee)? I used the Colorbox Chalk ink in Chestnut roan, added some Glossy Accents on the hearts, a black ribbon and some brown dashed lines.